Think about it: you interact with countertops on almost a daily basis, from the bathroom brushing your teeth to the kitchen preparing dinner. 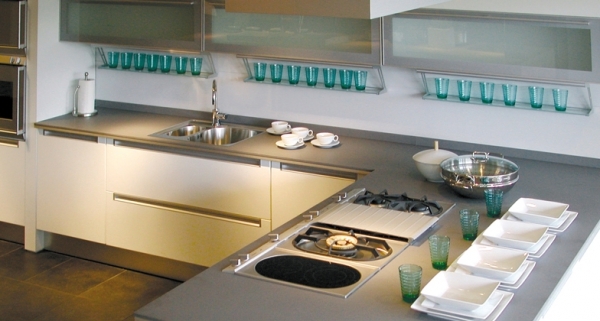 But who says countertops have to blend into your daily routine? You spend more time in your kitchen or bathroom than most other spaces in your home, so boring countertops are one of the worst mistakes of a kitchen or bathroom remodel, especially because there are so many options to choose from. From wood to glass, granite to stone, designers are creating new, fabulous options everyday, and the best options are customized by professionals to fit your space and your needs. 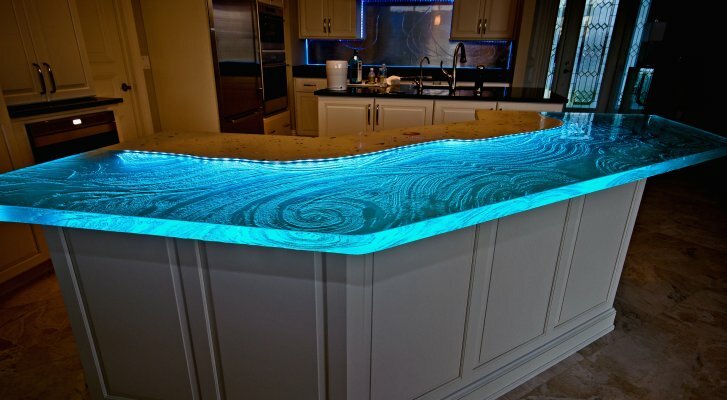 Take a look at some of the coolest countertops we’ve ever seen - it may just save you from a kitchen you can’t stand to be in. Reclaimed wood is a beautiful option for a kitchen or bathroom countertop is classy, and no two pieces are the same, giving your space a personality like no other. Wood obviously comes in a variety of colors and grains, so choose the one that matches your own interior style. 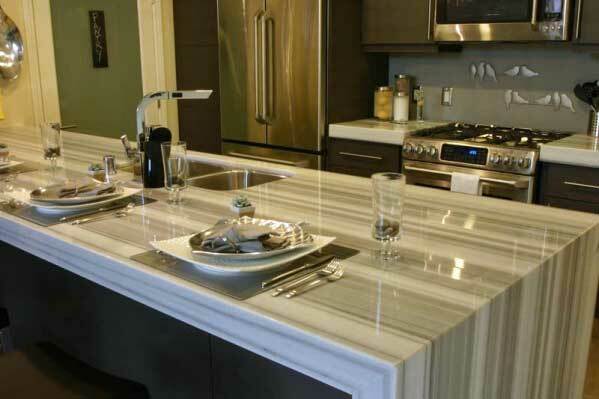 Consider inlays of other materials, like the marble pictured above, for varied baking and cooking needs. 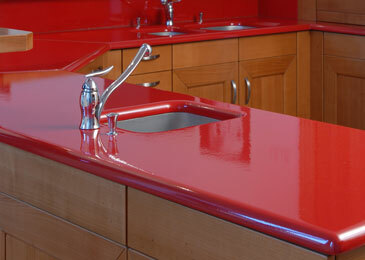 Glass countertops are incredibly versatile - they can be created in any shape to match your space. Plus, adding lighting or texture can transform your space from average to amazing. 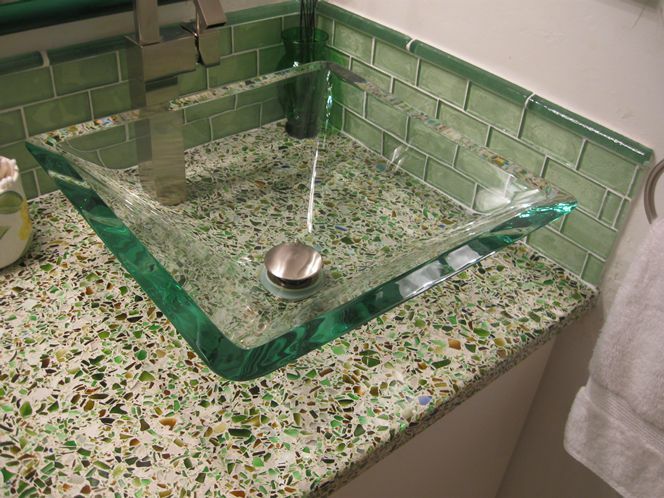 Recycled glass countertops are not only easy on the eyes, but they’re eco friendly, too! Again, endlessly unique and tons of color and design options. Polished granite countertops are pretty standard, but more homeowners are choosing honed granite for a classy, matte look. Be ahead of the trend on this one! Marble might seem overused but there are still ways to get creative with it! Consider extending the marble past the edge of the counter down to the floor, or maybe even into the sink. 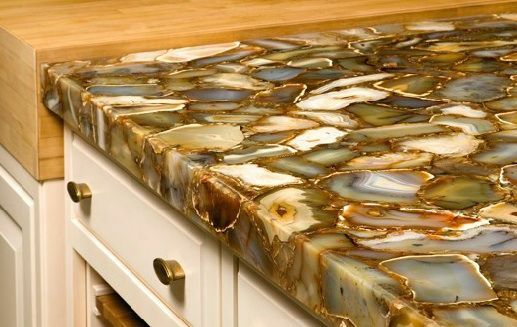 Some of the coolest stones are the ones you break open and are surprised with a crystal inside...and now you can have those stones preserved and displayed forever in the form of a countertop! Natural beauty at its finest. 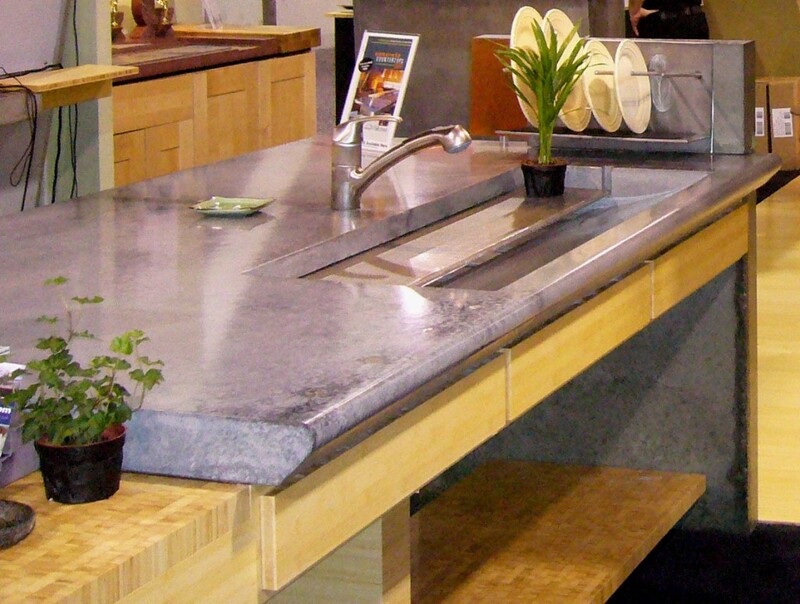 Concrete is being used more and more often in kitchens and bathrooms for the endless design options and modern look. Thick or thin, you can choose any shape in the world. 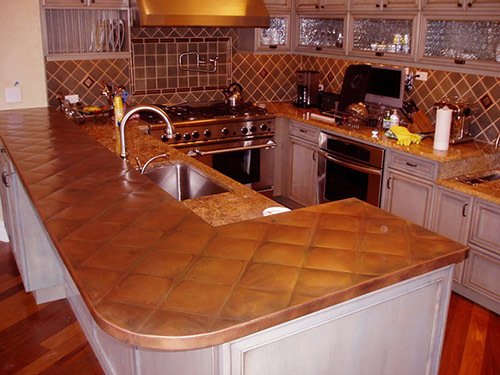 Metal appliances are no longer just for the ‘industrial’ look - this copper countertop proves you can have chic, fashionable metal countertops in any space. 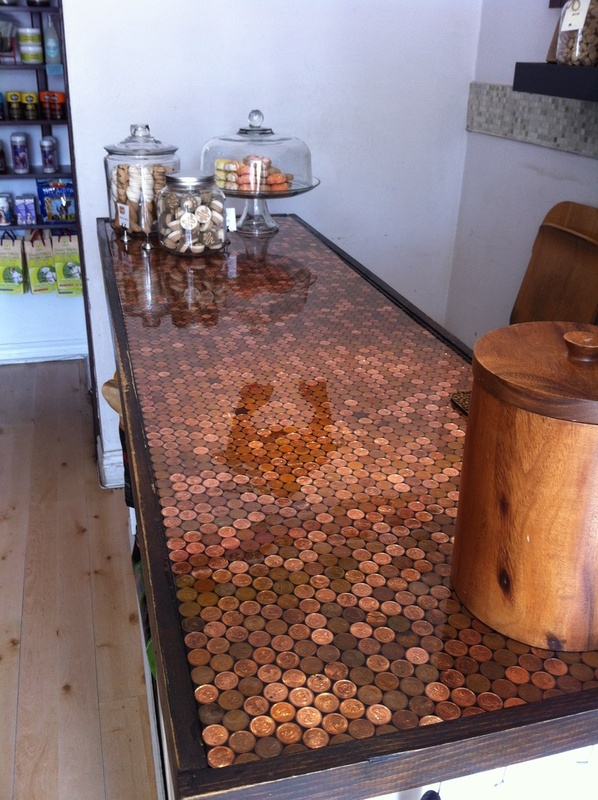 For the coin collector in your life - not only is this design absolutely ingenious, but you can use any coins you want to complete this DIY project. 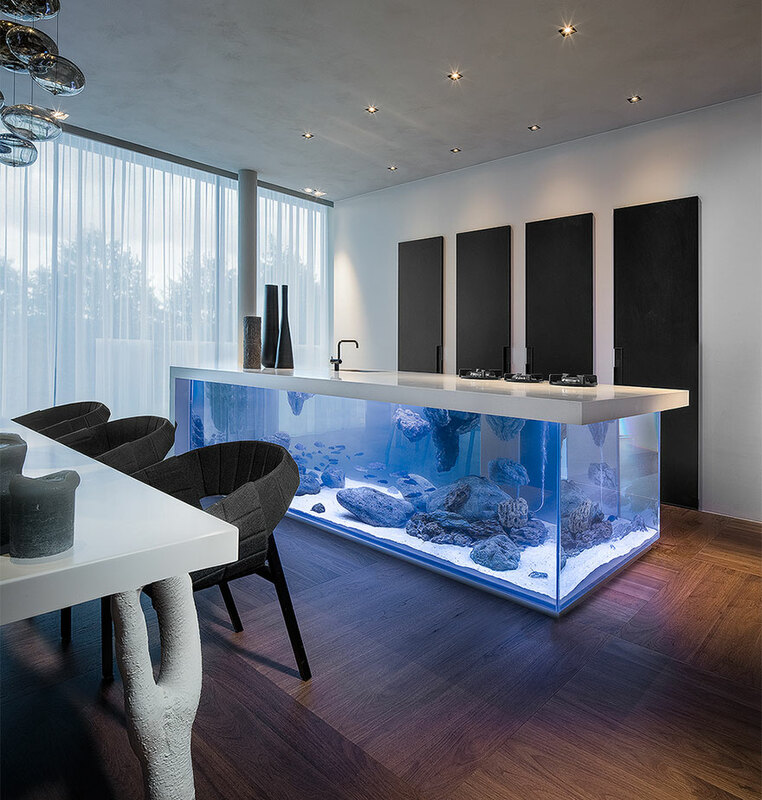 Yep, you saw that right - this counter actually includes a fully incorporated aquarium. The top lifts for access to the freshwater fish and filters are installed and hidden away. How much cooler can it get? Well, if live fish aren’t your cup of tea, why not incorporate nature in a different way? 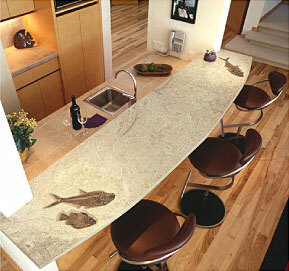 These fossil countertops can’t be beat, and will be the talking point of any gathering. Counters should not only look cool but be made of cool things, right? 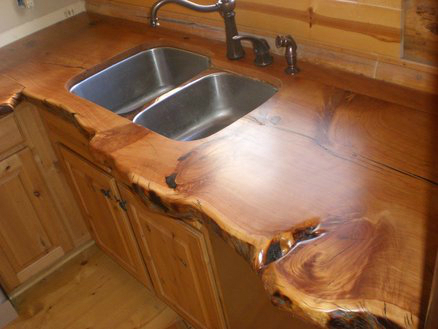 Well, that’s certainly some of the thinking behind these amazing countertops made from lava. Yep - lava, in your very own kitchen! 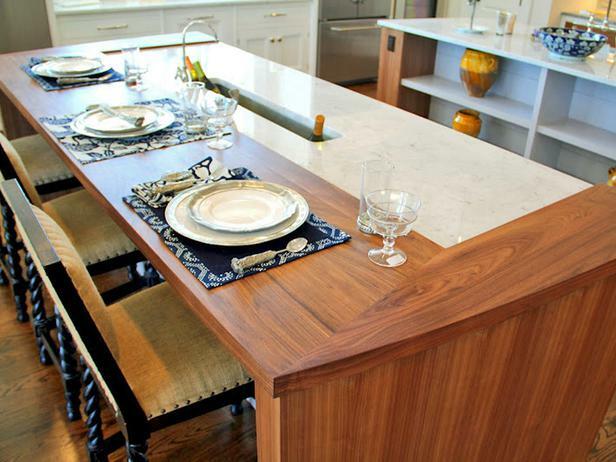 You use your countertops for a bunch of different activities, right? 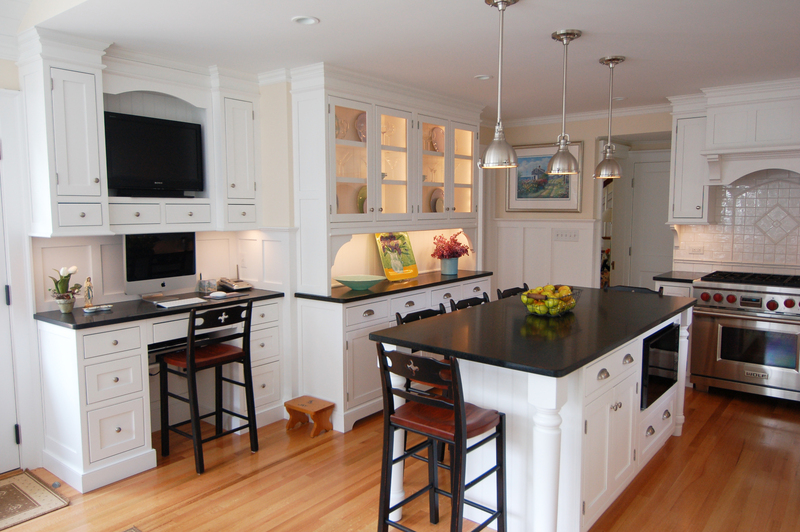 So why not have your counter include different materials and appliances? You can build-in almost anything, from a cutting board to a knife block to a blender, making your countertop probably the coolest part of your kitchen. 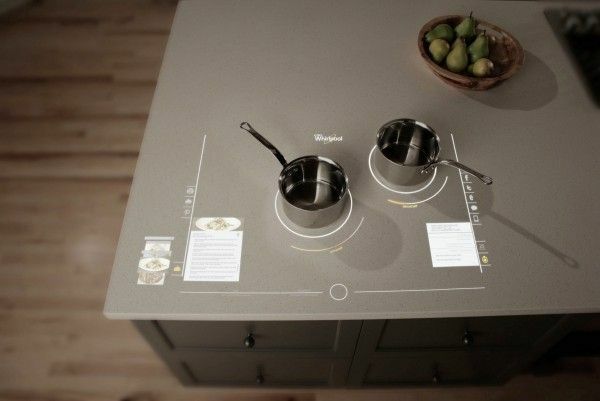 Finally, the rest of our homes are being transformed by technology, so why not the kitchen counters? Your smarthome features can now include touchscreen countertops with displays for the ultimate cooking and eating experience!